Music is a vital part of our lives. I even shared before how good our life is with music. There is no single day that my kids and I don’t listen to our favorite songs or dance to our favorite beat. Have you seen a toddler rocking the harmonica? And the same toddler rocking the keyboard? On the other hand, my daughter Zooey, who just started Kindergarten last month, seemed to love singing and dancing more now, after learning many new children’s songs from her school. After a month of attending classes, I was very surprised that her recent favorites include “Kids’ Prayer”and “Lupang Hinirang”. Yes, the latter is our country’s national anthem. Haha I don’t mean to make fun of it but I just find it bizarre how she really likes to recite this almost randomly, everyday – whether we just woke up, or are eating dinner, or about to go to sleep.. just about anytime. Also, the “Kid’s Prayer (I love YOU Jesus)“, was totally new to me. I haven’t heard of it before, though it sounded familiar the first time we watched it on Youtube. Quick back story.. it was more than two weeks ago when Zooey taught me about this new song she learned in school. I always ask about her school day and one afternoon, she told me about their prayer song. She doesn’t speak English and the song was new to her, so it was pretty hard to decipher what it was. For days, we tried to google the broken lyrics but couldn’t figure out, so she just hum the tune while teaching me the actions. Then three days ago, she’s able to sing it better. Her words were clearer and made more sense. So we googled the lyrics and searched the video on YouTube. Ten seconds later, she declared in excitement: “Kana mommy, KANAAAA!! !” (“that’s the one, mommy”) pointing to the YouTube video below. Aside from singing, Zooey likes dancing too. She absolutely enjoyed joining the Jollibee Kids Talent Camp last summer. It’s clear that my kids are very into music. It’s so entertaining to watch them sing and dance to their hears’ content without having a care in the world! While it’s super fun to play the music very loudly, unfortunately, my smartphone speakers isn’t that loud enough. 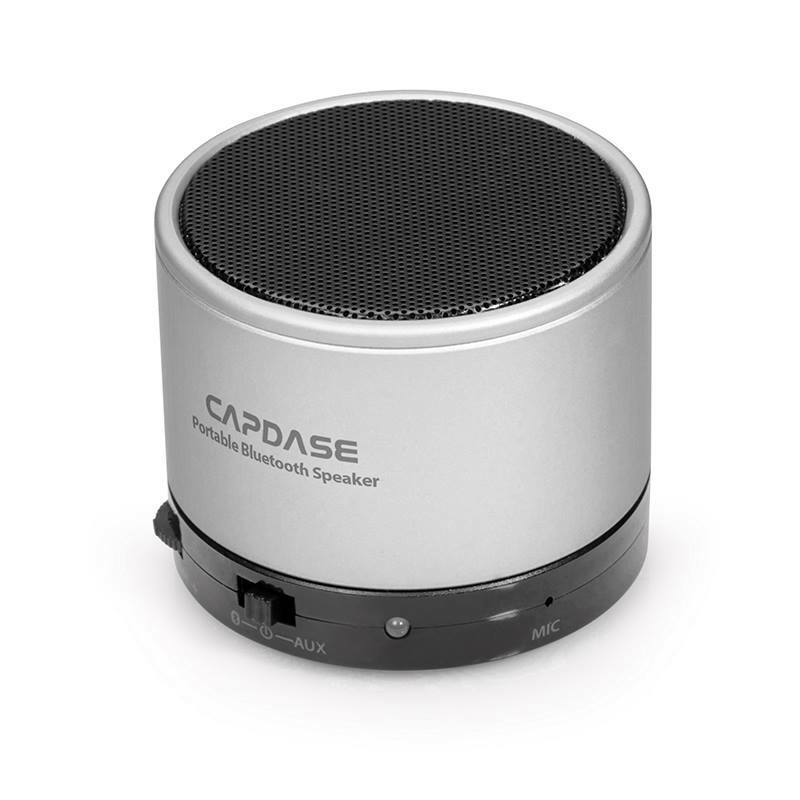 I really need one of those fancy Capdase Bluetooth Speakers ASAP!!! 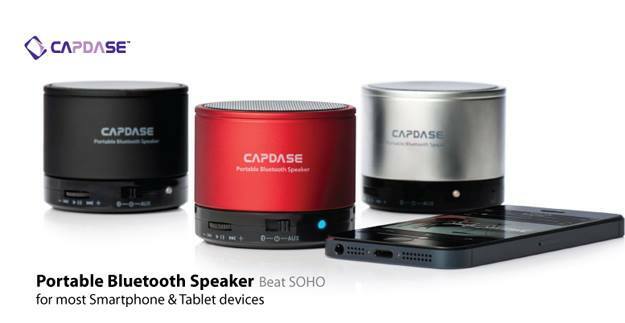 I read from this Capcase Beat Soho Review that these portable speakers have impressive sound quality and battery life, and is definitely a great bluetooth speaker for people on a budget. Oh, how I love the elegant minimalist design and its super cute size makes it really handy! Your child definitely has a future in music. It always starts with the enthusiasm to do it even in a playful manner. Sus bisaya man diay ka Zooey! My 3-year speaks broken English so I understand the struggle haha. I love that you have musically inclined kids. Mine is too! Wow it looks like the speaker I got at a PLDT event, Capdase pala yun. Excellent yung quality ng products, diba? Thanks!